Seating herself in the dentist’s chair, she pulled from her finger a wedding ring. “I’d like to use this for filling my teeth, please,” she said. 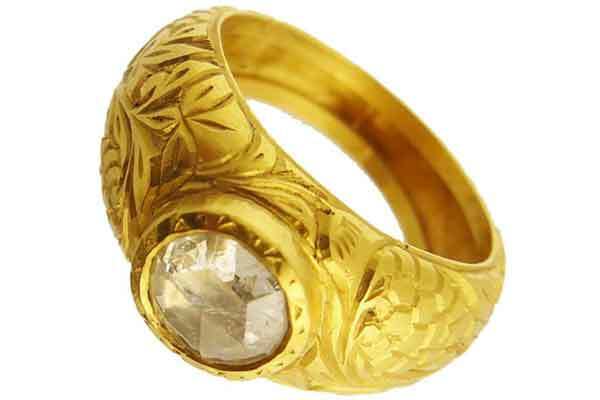 The dentist examined the ring, and found that it was an expensive one made of heavy gold with a delicately chased design. So, he told her that, in his opinion, it was too good to be used for a tooth filling, and he asked her if she’d rather let him use regular gold. “I’m afraid not,” the patient said regretfully, and explained her situation. She had, according to her, promised her first husband, before his death three years earlier, that she would always wear his wedding ring. She was getting married again the following week, and the man she was going to marry had made her promise that she would wear his ring after the ceremony. “This is the only way I can keep my promise to both of them,” she concluded. Having been placed in the impossible situation to wear both her late husband’s and new partner’s wedding rings at the same time, her solution was to change the position for her late husband’s one. She had surely promised to her late husband that she would always wear his ring, but not necessarily on her finger. Then by wearing it in her teeth, she would still have kept her promise to her late husband, wouldn’t she? Thus, her marvelous idea which would give her a peace of mind, and which would satisfy her new partner to see his ring on her finger was just getting underway at the dentist’s office.